Discussion in 'General Wireless Discussion' started by Murtaza12, Nov 9, 2018. So in another section, I posted a thread asking what router to get for my dads study, had a low budget of around $100, however I found a great deal on a Linksys EA8500 and don't want to miss out. -Do you have issues with 2.4GHz stability or performance? I've been reading on Linksys forums, and on Amazon reviews, some people complain that while 5 GHz is perfectly fine, the 2.4 GHz band tends to drop out quite often and the only way to fix it is to reboot every time it happens. 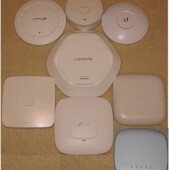 -Are there any known major issues with the stock Linksys firmware? Since it won't be in my room and I want it to be hassle free, I can't install DD-WRT on it, so I'd like to leave it on the stock firmware. -Does the stock firmware allow you to change it to Access Point mode? I checked the UI emulator for the EA8500, and while it doesn't mention Access Point mode specifically, it does mention Bridge Mode, is that the same thing? -Any quirks or annoyances about this router that I should be aware of? -Is this router a safe buy in 2018 (almost 2019)? 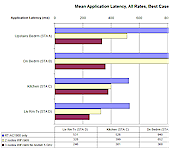 Specs look quite similar to my Netgear R7800, so I'm hoping it'll be fine. If I think of more questions later, I'll edit the main post, but for now this is all. 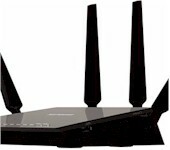 Yes, the EA8500 is a great router for both 2.4ghz and 5ghz wifi - i had one a couple of years ago. 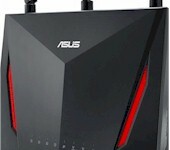 It uses Qualcomm Atheros radios and for wifi performance its very similar to the Netgear R7800. On the downside its user interface is a bit basic but it offers all the common features one would expect from a router. Yes bridge mode = access point mode. I don't own an EA8500 but I can answer some of the questions. This sounds like an environmental problem such as interference from nearby networks. Sometimes this is unavoidable but other times you can reduce interference by choosing a different channel. You should be able to configure it as a wired access point simply by disabling the DHCP server under Connectivity->Local Network. Wireless Bridge mode would essentially be the opposite of an access point. When configured as a bridge, the device would connect wirelessly to the primary access point and provide wired access via its LAN ports. Repeater mode starts with wireless bridging but re-broadcasts a wireless signal for other devices to connect to. This FAQ entry provides links to instructions for configuring the EA8500 as a bridge or repeater. 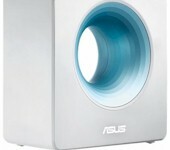 -Any quirks or annoyances about this router that I should know about? Good to know, however from whatever I've read, the 2.4 GHz issues started after the 1.14 firmware update. Wireless Bridge mode would essentially be the opposite of an access point. When configured as a bridge, the device would connect wirelessly to the primary access point and provide wired access via its LAN ports. Repeater mode starts with wireless bridging but re-broadcasts a wireless signal for other devices to connect to. That's the interesting thing. Wireless Bridge Mode and Wireless Repeater Mode were two different options in the router GUI, but there's another option just named 'Bridge Mode' which @psychopomp1 confirmed is actually Linksys' name for Access Point mode.